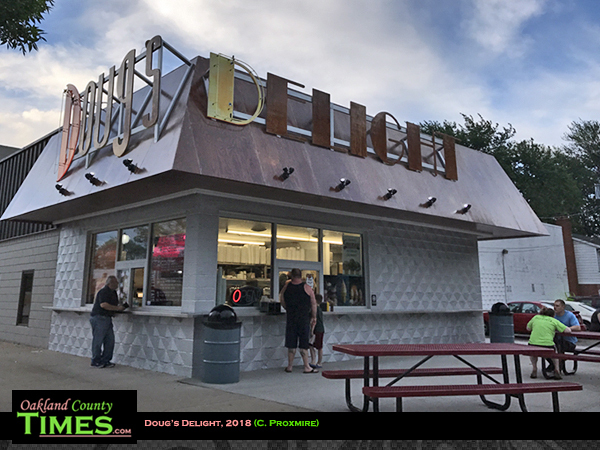 Hazel Park, MI – When I was a kid, Doug’s Delight at 24110 John R Rd was the place to go for after-school slushies and ice cream. The neighborhood ice cream shop closed down several years ago, but recently has been revived by the same creative force behind the renowned Mabel Gray restaurant just up the street. 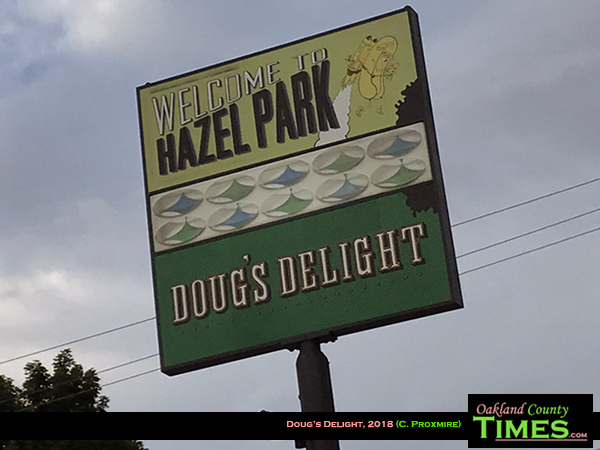 It’s not the Doug’s Delight that many Hazel Parkers grew up with. This is like a typical snack shack, but with a modern hipster twist. 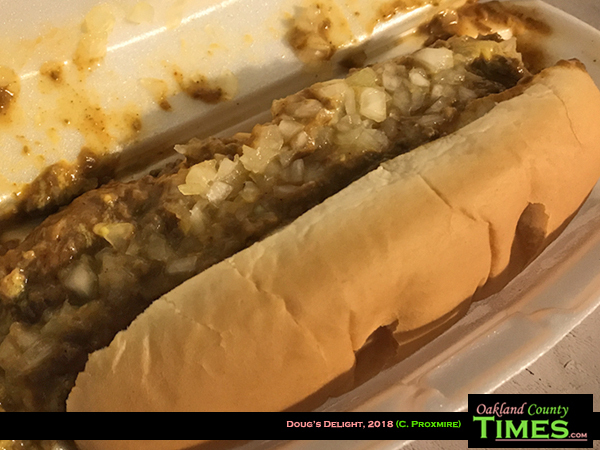 The specialty is a selection of Doug’s Dogs, including the Gangnam Style with kimchi, kewpie mayo, scallion, spiced peanut and hard-boiled egg, or the Yonkers with sauerkraut, caraway brown mustard and chili powder. 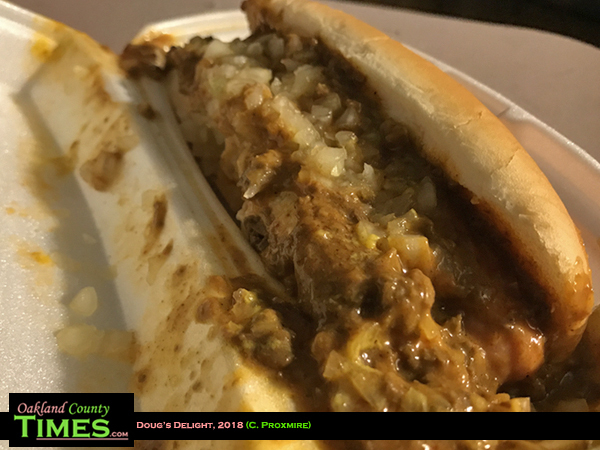 I went for the Classic Coney, topped with chili, yellow mustard and diced onion. 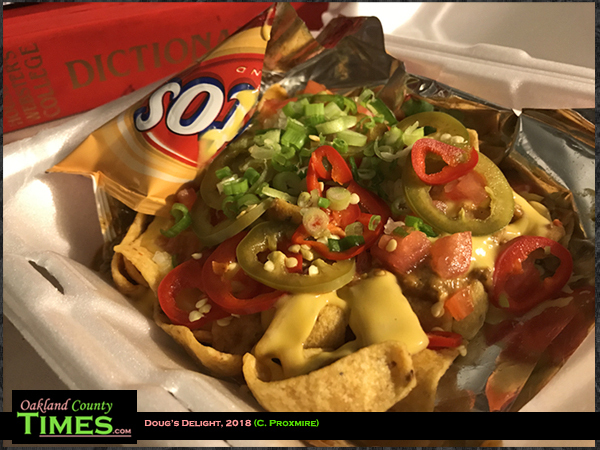 Sampling the menu, I also tried the walking taco, which is a bag of Fritos corn chips, sliced open and topped with chili, pickled peppers, tomato, onion, scallion, and nacho cheese. 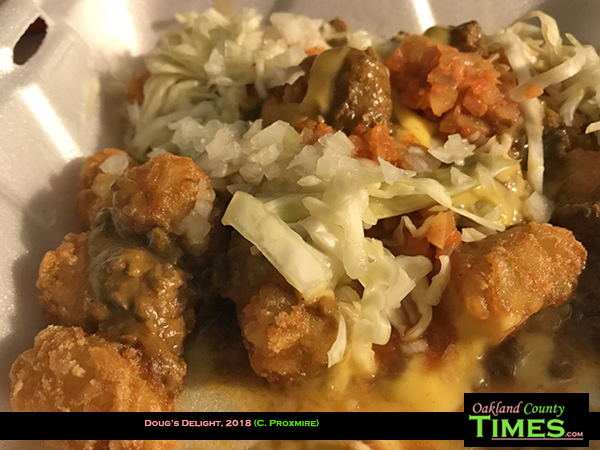 My favorite of all is the hot mess tater tots which come smothered in chili, kimchi, onion, sauerkraut and nacho cheese. All of it was enough to leave this gluttonous gal satisfied. 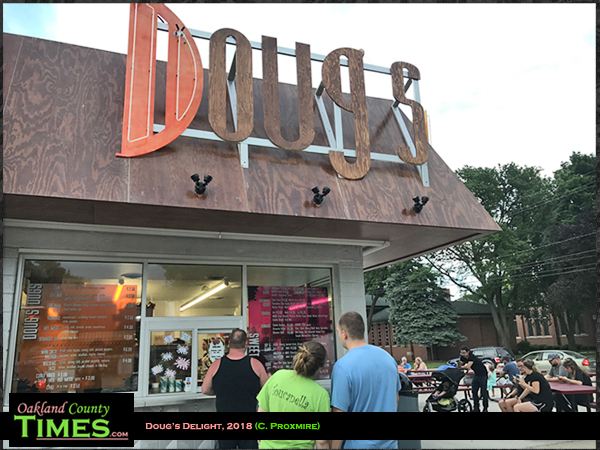 But of course it would not really be Doug’s Delight without sweet treats as well. For scoops they serve up locally-made Guernsey Farms Ice Cream. There are sundaes, slushies and soft serve. 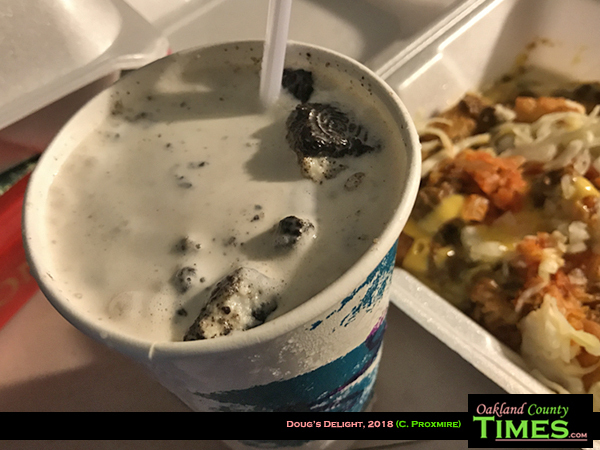 And their signature dessert is the Dougie, which is soft serve blended with a choice of toppings. This evening I opted for Oreos in mine. In addition to their regular menu, there are specials posted on the window for those who might want more variety. 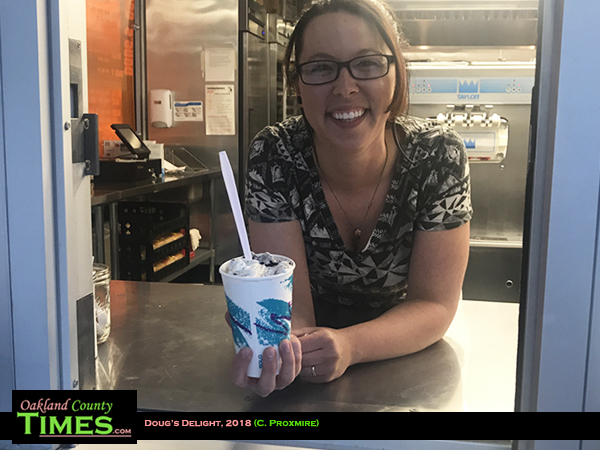 I met co-owner Kristina Conger who said she’s loving the spot in Hazel Park and that business has been steady since they opened about a month ago.